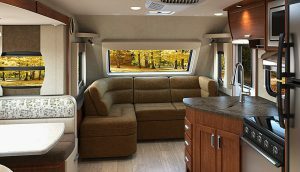 As with everything else, the quality of your RV furniture would slowly yet surely decline over time, it’s simply inevitable. There are many factors which could affect this process such as sunlight exposure, humidity level, usage frequency and so on. So what can you do in order to improve the situation without wasting too much money at the same time? Well, in the case you are in desperate for an answer to the question above, this article is for you. 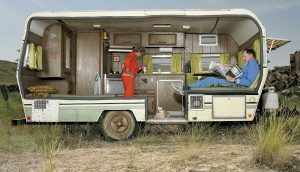 Here are some helpful tips and tricks on how to repair or replace your RV furniture in an efficient manner. Take a look at them and see what they have to offer, it would help you avoid a financial crisis. Of course, people with different preferences would have different demands so you don’t have to strictly follow the information below. Be flexible and make appropriate adjustments when you feel that it’s truly necessary so you could achieve the desired result. With that being said, now let check out what method you could use to deal with the vehicle declining furniture. In the usual case, your local upholstery workshops should be able to turn the furniture back to their original state. Nonetheless, the price of this process is not exactly cheap and it could exceed the cost of brand new products. So it’s a good idea to get an estimate before you consider using such service, better be safe than sorry. You could always attempt to find spare parts for the vehicle furniture on the market though it could be hard. Finding individual items to fix your broken chair or worn out sofa is quite a tedious and time-consuming task. But by swapping out the entire unit, you could solve your furniture issue without any hassle involved in the process. 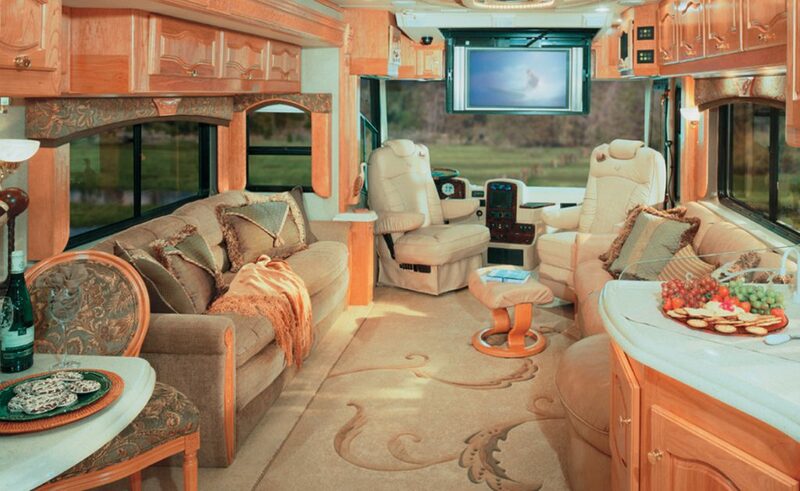 To replace you RV furniture, all you have to do is to drop by a dealership and exam the catalog. Pick the one that suits you the most from a wide range of furniture model and fabric choice in there. You could even opt to use designer fabric or leather instead, the average dealership is capable of offering those options. Flexsteel is a well-known name in the business, you could check out their products online to exam the compatibility. But when you want to buy something from Flexsteel, you have to order from authorized furniture stores or RV dealerships. You cannot order Flexsteel products directly from their factory so keep that in mind when you are considering RV brands. There are a couple of online companies, such as Bradd and Hall, which are authorized Flexsteel dealers too. You could contact them and in some case, these guys would offer you a better deal compared to RV dealer. 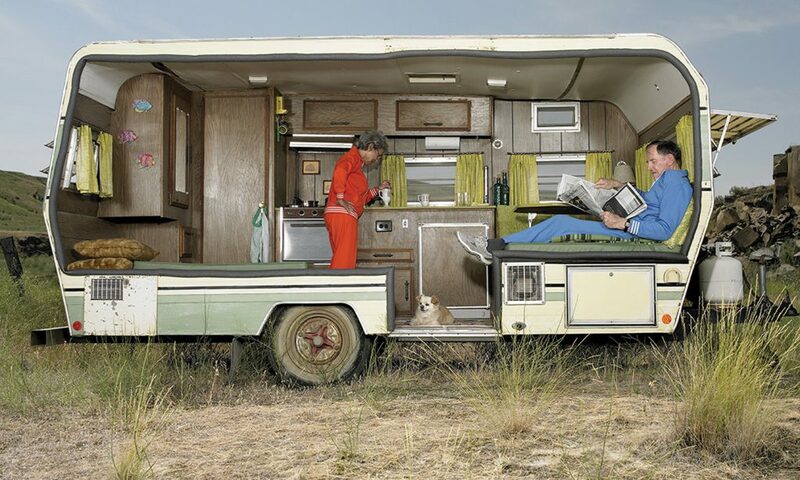 Camping World is also a nice place you should take a look, they have an excellent collection of RV furniture. 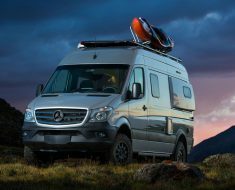 As the middleman, RV dealers would charge you for their service but they do give you some benefits and services. 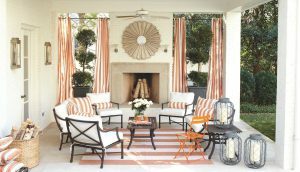 You could arrange a furniture installation using the trained crew and maintenance shop of the dealer which is pretty useful. That would save the hassle of installing the furniture on your own, especially when you are unfamiliar with the task. 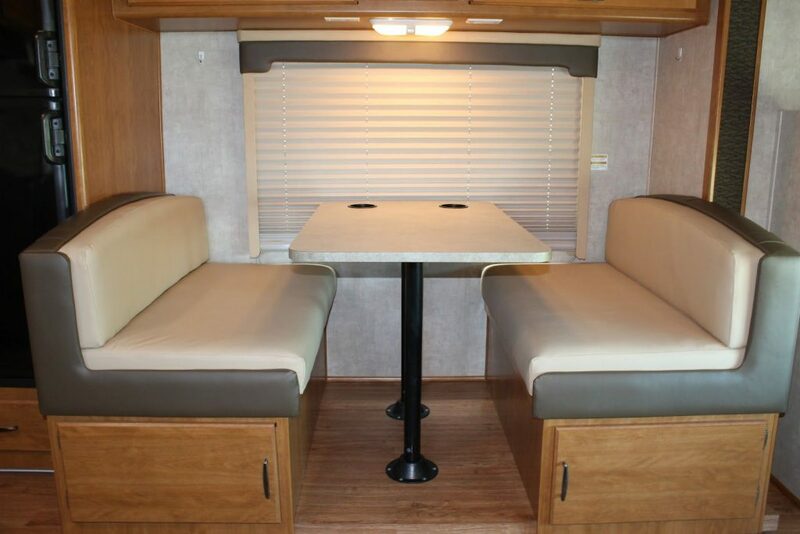 Important reminder: For most of the time, RV furniture manufacturers don’t provide Rver with replacement fabric for damaged or worn out products. Their repairing service often charges you an amount of money that is comparable to the price of newly manufactured goods. They do sell fabric sheet without patterns by square yard though should you want to perform the repair by yourself. 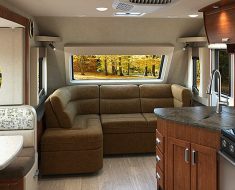 In their effort to cut down production expense, RV manufacturers have also lowered the overall quality of the vehicle furniture. As a consequence of the quality decrease, the vehicle furniture is vulnerable to damage and disfiguration as time goes by. 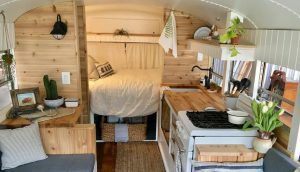 Hence, you probably want to exchange a couple of your flimsy RV furniture for robust household products whenever it’s possible. Obviously, you cannot use whatever you like, you need to take into account the size and weight of household furniture. 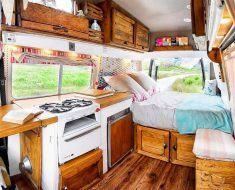 Since the interior of the average recreational vehicle is not very roomy, you should measure the remaining space in advance. Using cumbersome and bulky products is really ill-advised due to the difficulty of moving them into the desired position. Should you are good at improvising then you could assemble your own set of furniture with a bit of effort. 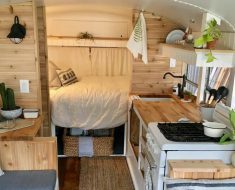 You may try to make furniture from scratch, combining parts from RV and household products is also a good method. 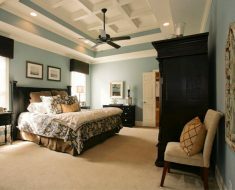 The entire process could take some time to finish but you should be able to achieve the ideal comfort level. Recommended furniture changes: Sofa and dinette are two things that you could consider replacing when they start showing their age. No matter what product you use, attach a couple of L shaped brackets to secure the new furniture in place. Do remember to check the surface composition beforehand, you don’t want to punch through or tear down the interior accidentally. In the case you afraid that you would mess up everything, play it safe and let the professionals take over. 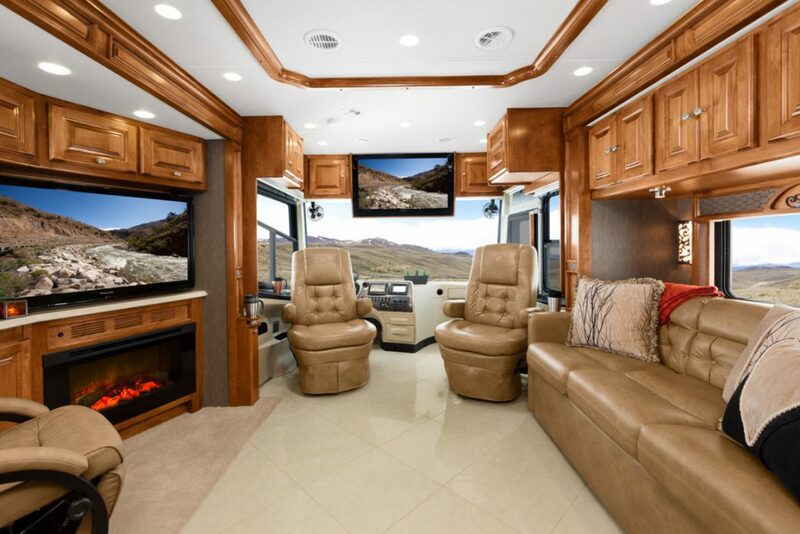 And that is how you can replace or repair RV furniture in a logical way, fairly simple to absorb, right? To novice RVer, the process may be tricky but if you are able to pay attention, it can be done. Use this article references and you could achieve the desired result at the end of the day.